Spouting Specialists-Your one stop shop! 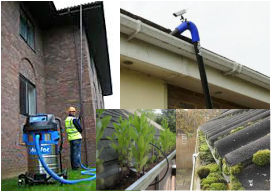 Our new vacuum gutter cleaning system is unique to Christchurch. No mess. Quick and effective. The on-board wireless camera lets us also provide you with a FREE Spouting Inspection while we clean. Book a Gutter Clean Now! We give a 10 year leak-free warrantee! Request A Spouting Estimate Now!